Many states require new drivers to undergo a driving test before they can be licensed. In other states, experienced drivers may need to perform a driving test to renew their license or to get a license back after it has been revoked. Either way, this experience can be nerve-wracking. Fortunately, good preparation and a few helpful tips can have you performing your best. 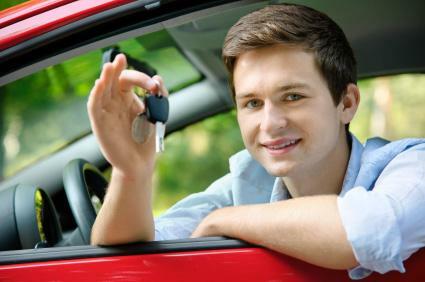 The biggest thing you can do to help yourself pass your driving test is to prepare ahead of time. That way, you'll be more comfortable when it's time to get behind the wheel. Depending on your experience level, getting prepared may mean taking a driving course from an instructor, either through your school or community center. You can also learn to drive a car through private companies like 911 Driving School or Sears Driving School. These classes give you the hands-on experience you'll need to be comfortable during your examination. Three-point turn - You'll need to turn your car around in a 30- or 40-foot area. Parking - Some states require parallel parking, while others just want you to park in the center of a standard parking spot. Backing up - You'll need to be able to back up for a specified distance, often about 50 feet. Choosing a lane - You should demonstrate that you can choose the correct lane for your situation and that you can change lanes properly. Stopping - You will show that you can stop quickly on command and that you know to come to a complete stop at stop signs. Shifting - If you drive a manual transmission, you should demonstrate that you can change gears smoothly and effectively. Perhaps the most practical thing you can do to prepare for your test is to practice. Spend as much time as possible behind the wheel, so you're comfortable with the location of all the controls, understand how the car feels and works, and can make driving maneuvers second nature. The following tips will help you score well on test day and feel comfortable driving during the exam. Right before your test, take a few minutes or even an hour to drive around. You'll be in "driving mode," which will make it easier for you to succeed during your exam. In many states, you'll take the test in your own car. This has a lot of advantages, since you'll be comfortable with your car and will know how to operate it. However, you should give some thought to the car you choose. While a manual transmission can be fun to drive, taking the test with a stick shift can add a whole new layer of complication. You may want to consider driving an automatic car on test day. In addition, power steering can help make your turns smoother and less jerky. You may already know where you'll be doing your driving test, but it's important to become familiar with this area as a driver. Using your learner's permit, drive around the testing area several times, learning the road signs, one-way streets, and any other important qualities of the area. Although you may feel pressured to think and act quickly during the exam, try to take your time as much as possible. If you give yourself a moment to think things through, you'll make good driving decisions and avoid common mistakes. It's normal to feel some anxiety about your examination, but try a few relaxation exercises ahead of time to calm down. Listen to your favorite music before the test or just spend some time listening to your own breathing. Also, consider going for a short walk to help yourself unwind. Remember, the examiner wants you to succeed at this test. When you're under pressure, it's easy to forget to look around you. If you can focus on observing the road, the other cars, and any signs, you'll do a better job on your test. Make a conscious effort to see everything that's going on around your car. The examiner has ridden with countless nervous drivers over the years, so there's no harm in talking or joking about being anxious. Even if you're feeling perfectly calm, talking to the examiner can help break the ice and put you even more at ease. Sometimes, it's easier to do things if you talk about what you're doing. While you may feel a little self-conscious doing this during your driving test, it can help you keep your mind focused on the task at hand. Getting plenty of rest and showing up with a sharp mind will also provide the little extra help that you need. You might also want to take a look at your state driver's manual before you take the test and take a mental inventory of all the things you practiced. A little bit of preparation can save a lot of frustration and aggravation when you show up to get your license.